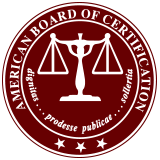 Mr. Nicholas Gebelt represents debtors as a Certified Bankruptcy Specialist (certified by the State Bar of California Board of Legal Specialization). When an individual debtor can no longer meet his or her financial obligations, he or she may seek protection through a bankruptcy proceeding in Rancho Cucamonga, California. 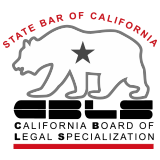 CBLS Board Certification in Bankruptcy Law - Lawyers certified in bankruptcy law by the State Bar of California Board of Legal Specialization have demonstrated substantial involvement in this area of practice. The term bankruptcy law is defined by the CBLS as the "practice of law under the United States Bankruptcy Code (11 U.S.C. Section 101, et seq.) ("Code")." Bankruptcy law includes the representation "of debtors, creditors, trustees, committees, and all other interested parties under the Code."